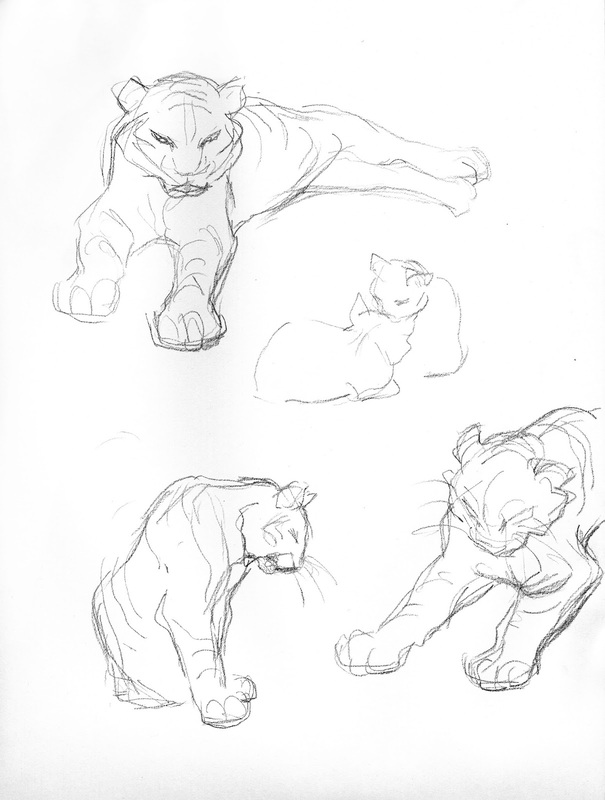 This was a fun exercise I did a while ago at Tina Price's Center Stage Gallery in Burbank. 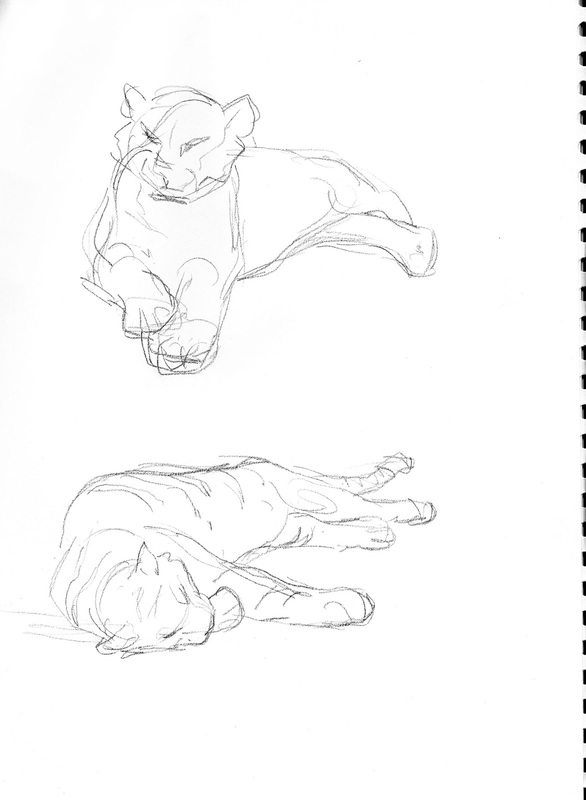 We drew grown house cats as well as a couple of kittens that day. 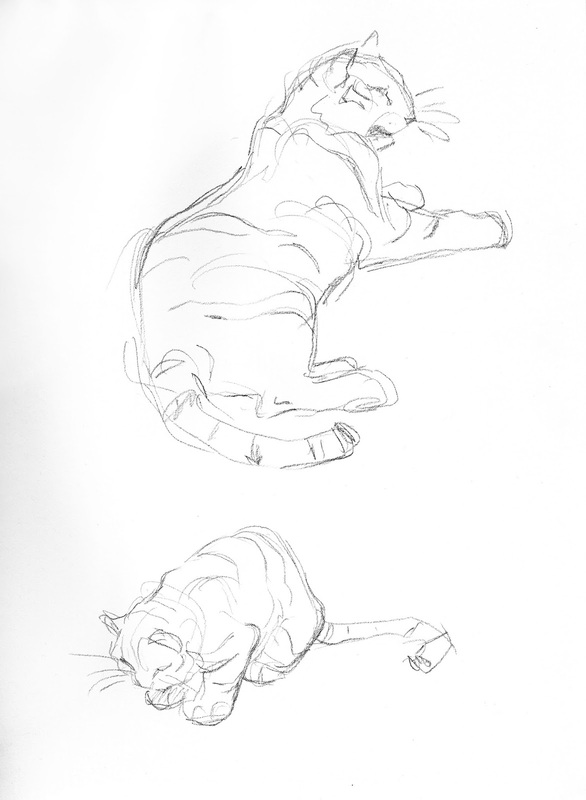 After doing this for a while I asked everybody to use the cats' poses, but beef them up as tiger drawings. 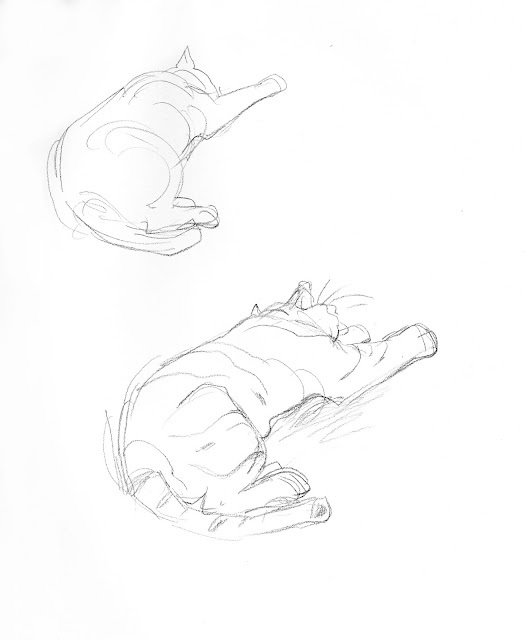 You'd be surprised how similar the overall body rhythm is between the house cat and the big cat. These are the few sketches I did that afternoon. I love exercises like this, when using your model as reference for something different. At Disney I did this with Yzma from The Emperor's New Groove. 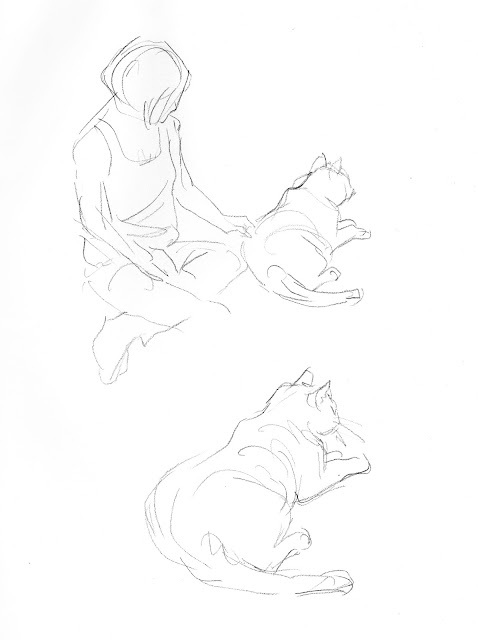 I studied model poses from fashion magazines to inspire poses for Yzma, who is of course a very old woman.